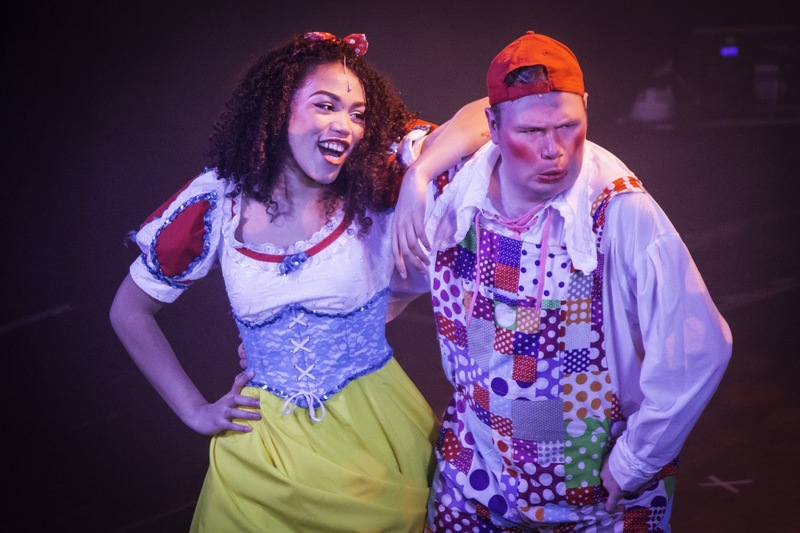 With a simple mission of trying to provide affordable professional pantomime in Newcastle’s Walker district, the NE6 show has a lot to be applauded. 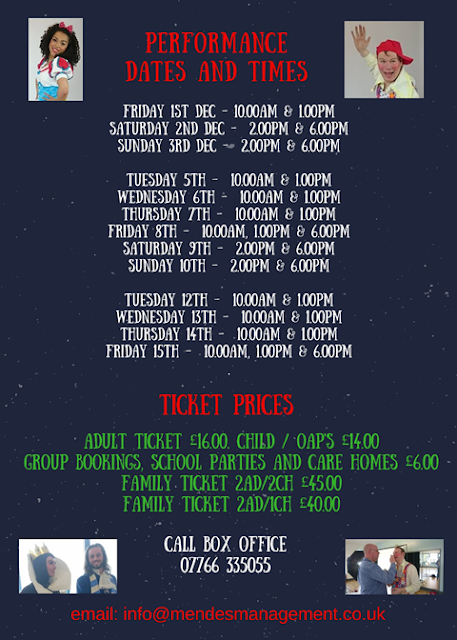 With affordable tickets and refreshments, this is a chance for families to enjoy the joys of live light entertainment. 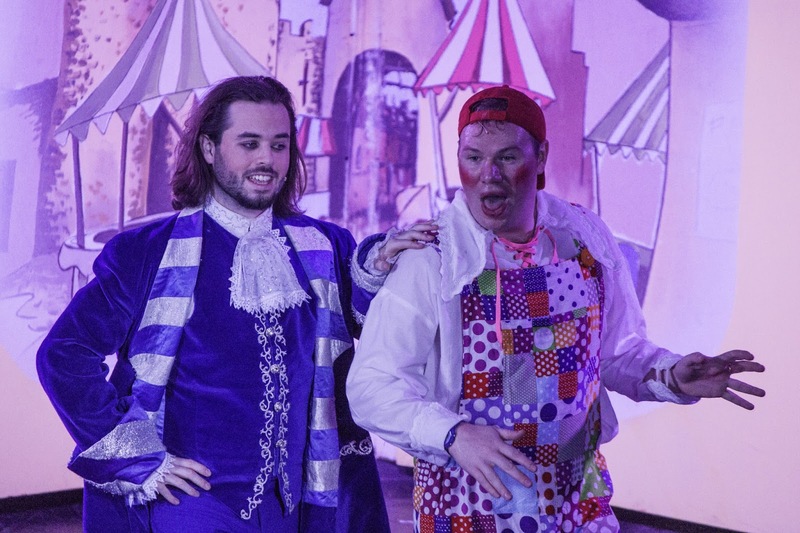 David Dale has written and directed a show that is warm, funny and fast paced. 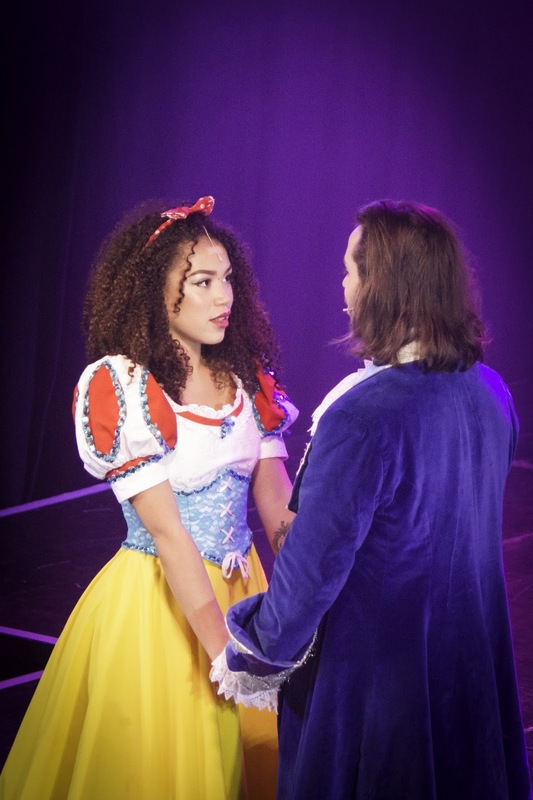 Snow White (Ruby Barker) is about to meet up with Prince David of Beckingham (Dale Jewitt) as their families wished them to get married. 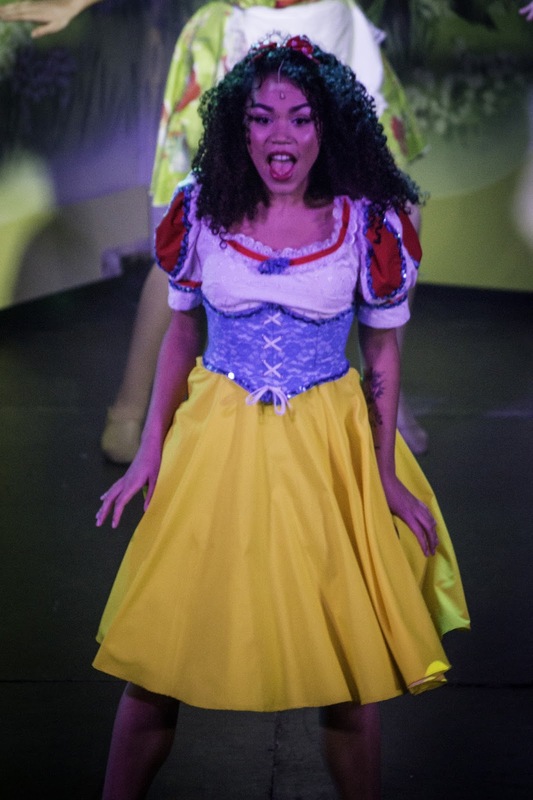 The problem is that Snow White’s Step-Mother, the Wicked Queen (Jess Johnson) has consulted her Mirror (Danielle Mendes) and has a desire to become the ‘fairest in the land’. 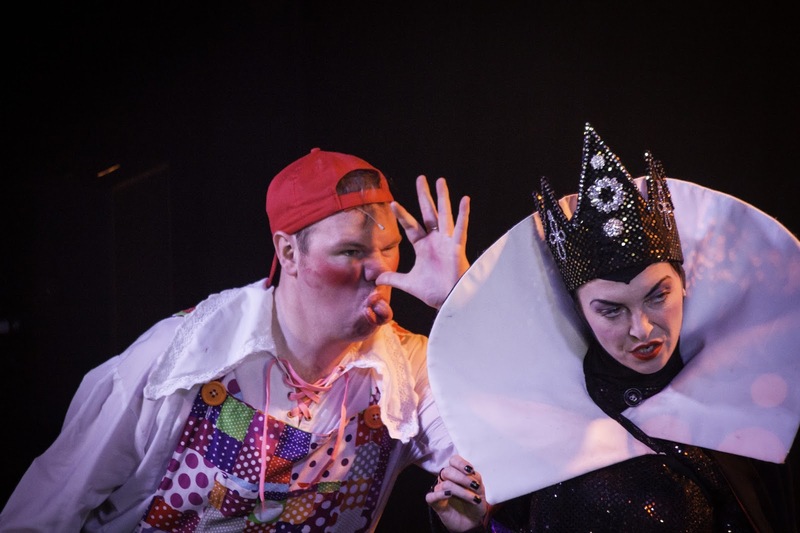 She dispatches Brimstone (Viktoria Kay) and Treacle (Lawrence Neale) to kill Snow White. Snow White has not only a Fairy (Janine Allen) on her side, she has a daft side kick Muddles (Craig Richardson) and his mother Sally Sausage (Courtney Jackson) watching her back too. 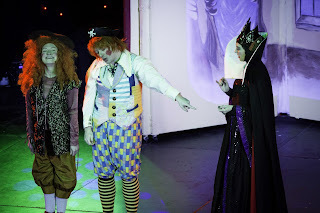 Muddles is the audience’s friend too and Craig Richardson is quickly recruiting members for his gang. 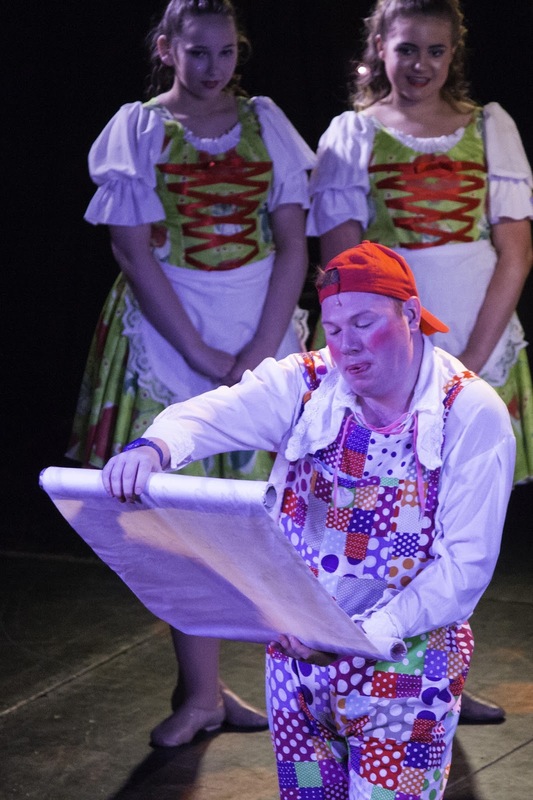 Craig, who has appeared in panto at both the Westovians and the Customs House has clearly been influenced on his travels. Ruby Barker is delightful as the titular character and she seems to thrive on the live show. 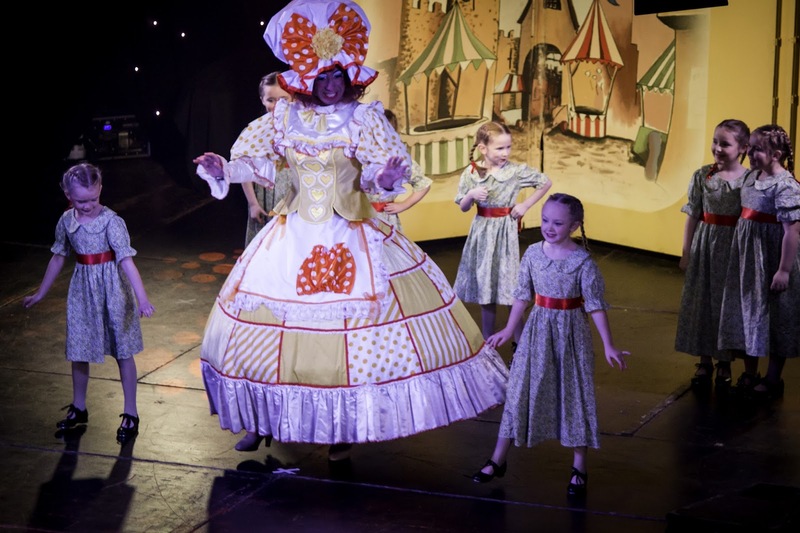 Courtney Jackson makes a fine panto Dame and has a range of amazing outfits to wear. A number of the actors in the cast have appeared in a number of successful shows over recent years. 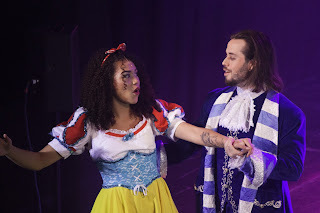 We knew both Jess Johnson and Dale Jewitt are gifted in the singing department and so it is no surprise to see them get a chance to sing. 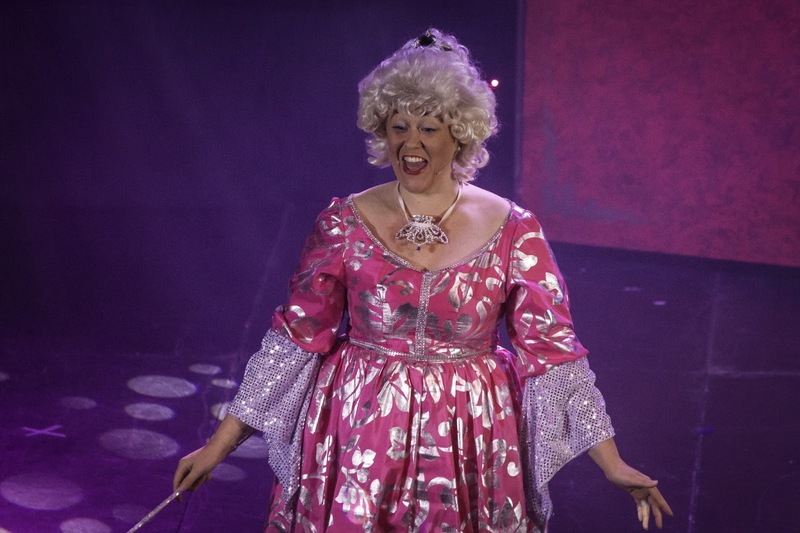 Janine Allen often finds herself as both narrator and scene changer as the set consists largely of an oversized picture book. 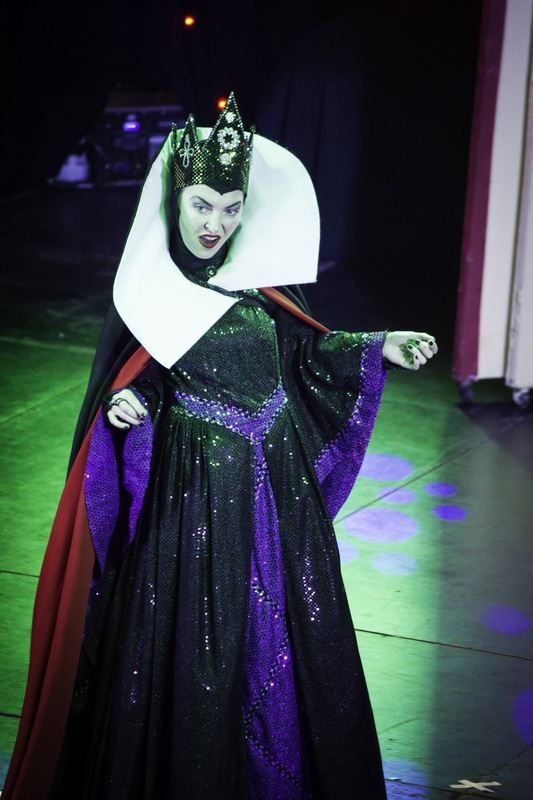 She carries out her role with an appropriate sense of humour. Unlike some shows we have witness during this panto season, the sound was great throughout the show. 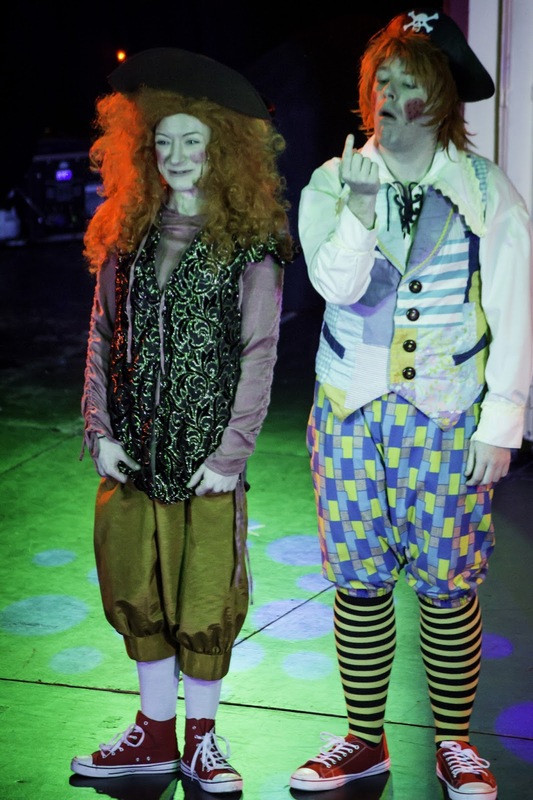 This included the younger members of the cast who clearly enjoyed their roles. 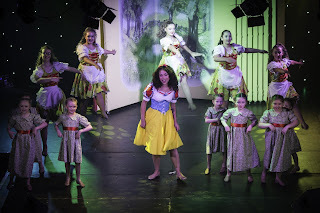 The young dancers, likewise, gave it their all in the various dance routines. 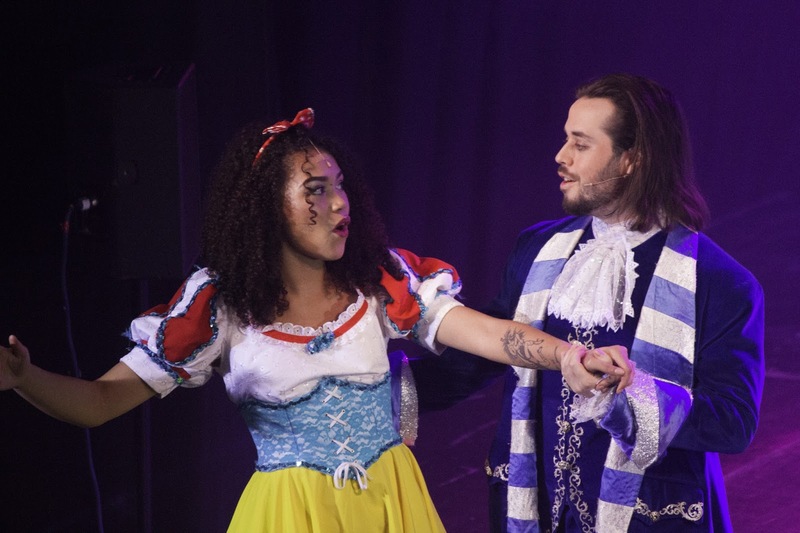 At 2 hours, this is a slightly shorter running time than many shows which are on at the minute but, to be honest, it is probably better for it as the younger members of the audience often get restless past the 2-hour point. Snow White has a sense of fun and enjoys both a likeable, hardworking cast and a funny script. The plan is to return next year with Aladdin (from 1st- 24th December 2018) and tickets are already on sale.